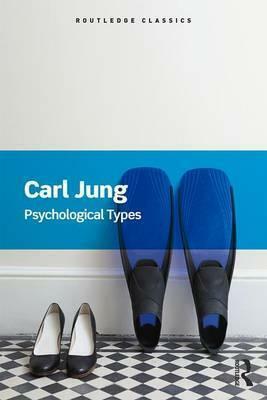 Psychological Types is one of Jung's most important and famous works. First published in English by Routledge in the early 1920s it appeared after Jung's so-called fallow period, during which he published little, and it is perhaps the first significant book to appear after his own confrontation with the unconscious. It is the book that introduced the world to the terms 'extravert' and 'introvert'. Though very much associated with the unconscious, in Psychological Types Jung shows himself to be a supreme theorist of the conscious. In putting forward his system of psychological types Jung provides a means for understanding ourselves and the world around us: our different patterns of behaviour, our relationships, marriage, national and international conflict, organizational functioning. This Routledge Classics edition includes a new foreword by John Beebe. Introduction. 1. The Problem of Types in the History of Classical and Medieval Thought 2. Schiller's Ideas on the Type Problem 3. The Apollinium and Dionysian 4. the Type Problem in Human Character 5. The Type Problem in Poetry 6. The Type Problem in Psychopathology 7. The Type Problem in Aesthetics 8. The Type Problem in Modern Philosophy 9. The Type Problem in Biography 10. General Descriptions of the Types 11. Definitions Epilogue. Carl Gustav Jung (1875 - 1961) was a Swiss psychiatrist who founded the school of psychology known as analytical psychology. Jung established the concepts of the extraverted and the introverted personality, archetypes, and the collective unconscious.